What does motivation even mean? People use the term in different forms every day—as if we have a common understanding of what motivation is. But we don’t. There are over 102 definitions for motivation in academic literature. [i] We aren’t going to settle on a common definition of motivation any time soon. 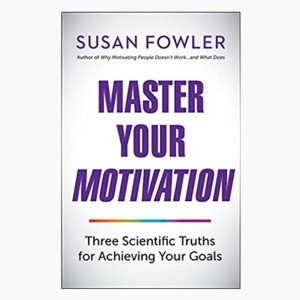 However, given the new science of motivation, we can agree that the way we think about motivation needs updating, if not a total overhaul. Let’s begin with what motivation isn’t. Motivation is not like intelligence. Motivation isn’t a quantity of something that you can measure in terms of how much one has or doesn’t have. 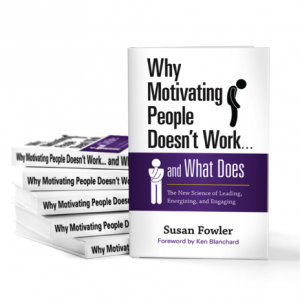 We need to eliminate comments such as, “We need to increase people’s motivation; I need to motivate her; he needs to be more motivated; she has a lot of motivation; I’m not motivated to do that.” Here’s the truth: people are always motivated. 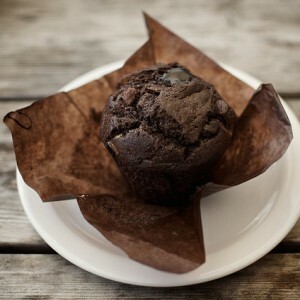 They are motivated to get out of bed, or not; to eat a 500-calorie muffin, or not; to demonstrate compassion when someone is suffering, or not; to comply with safety regulations, or not. The science of motivation proves that motivation is defined by the quality of your motivation, not the quantity of it. That rules out answers B, C, and D. But how do you explain the only answer left? A: Motivation is a skill. This idea is a revolutionary concept that changes the way we approach motivation. Every day you are consciously or subconsciously appraising your work situation and coming to conclusions. I feel safe or threatened. I feel happy or sad. I feel fearful or courageous. I feel supported or undermined. Ultimately, your appraisal leads to a conclusion about your state of well-being, which determines your intentions to act, or not. This appraisal process is at the heart of employee engagement. Actively engaged employees have a sense of well-being that leads to positive intentions, such as the intention to stay and endorse the organization, use discretionary effort and organizational citizenship behaviors on behalf of the organization, and to perform at above-standard expectations. These positive intentions are the greatest indicators of positive behavior. The exciting discovery: individuals can affect their own appraisal process. 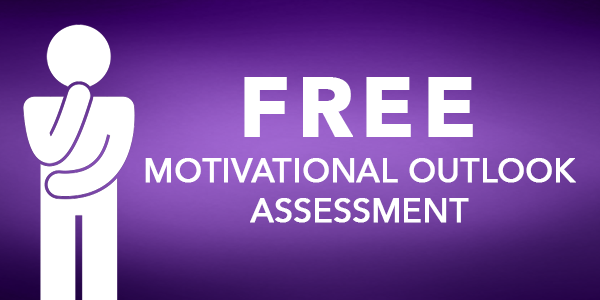 The skill of motivation is the ability to manage your own appraisal process every day. When you are able to shift your appraisal and state of well-being, you are able to affect the quality of your motivational experience. You can experience high-quality optimal motivation anytime and anywhere you choose. (Which, by the way, means letting go of Maslow’s Hierarch of Needs—more on that in an upcoming blog posted by HBR.com.) Daily doses of optimal motivation fuel employee work passion, resulting in actively engaged employees over time. For more about the skill of motivation, see chapter 4 in Why Motivating People Doesn’t Work… and What Does. [i] Kleinginna, P., and Kleinginna, A., 1981. I love that motivation is a learned skill! And that we can affect our own appraisal process.